Joseph J. Higgins is a Criminal Defense Attorney that specializes in representing people charged with drunk driving in Massachusetts. He devotes his entire practice of law to DUI/OUI Defense and has been recognized by The National College for DUI Defense for his dedication and commitment to this area of the law. Attorney Higgins has also been identified by Super Lawyers Magazine as a Massachusetts “Rising Star” in DUI/DWI Defense. This distinction is limited to only 2.5 percent of attorneys in the state. 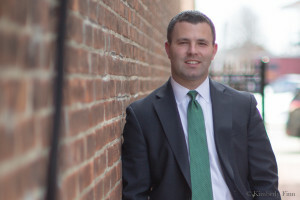 A graduate of Connecticut College and Suffolk University Law School, Attorney Higgins began his legal career as an Assistant District Attorney in Plymouth County. As an ADA, he was responsible for prosecuting hundreds of drunk driving cases each year and gained invaluable experience by going up against some of the best defense attorneys in the state. After prosecuting DUIs/OUIs for years, Attorney Higgins realized that he could best use his knowledge of DUI/OUI law to help people by being a defense attorney. Attorney Higgins has now appeared in over 60 courts across Massachusetts defending charges of DUI/OUI.